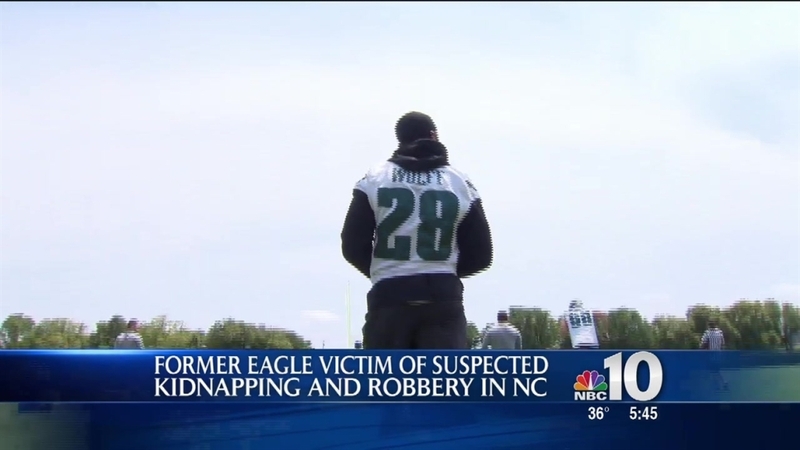 Former Philadelphia Eagle and current Jacksonville Jaguars defensive back Earl Wolff was kidnapped for a short time while visiting his native North Carolina last month but was freed unharmed. Police in Fayetteville, North Carolina, said they received a call Feb. 23 about a robbery and kidnapping. The Fayetteville Observer, which first reported the story, said that Wolff was visiting friends when a group of men with guns forced him into his Range Rover. Police say it's not clear how long Wolff was held but they believe it was a short time. Tad Dickman, senior manager of public relations for the Jaguars, released a statement Saturday that Wolff was "doing well, mentally and physically." He asked the media to respect Wolff's privacy. One man was charged Thursday in the case. Wolf, 26, was drafted by the Eagles in 2013 and played two seasons for the Birds before signing with the Jacksonville Jaguars in 2015.